Clear glass lamps are one of those decorative elements that interior designers return to again and again. We see them in rooms of every design style, from rustic and coastal to modern and sleek. Sometimes, the same style of lamp shows up in dramatically different interiors. So what’s behind interior designers’ love affair with clear glass lamps? Clear glass blends in just about anywhere; because it’s nearly colorless, it allows the room’s other elements to shine. Instead of making a splash with color, a clear lamp base puts the focus on the shape and scale of the lamp itself. It adds a subtle silhouette, with interesting texture or hardware accents. And over a lifetime, a glass lamp can be used in different rooms of the home, so it’s a practical choice too. 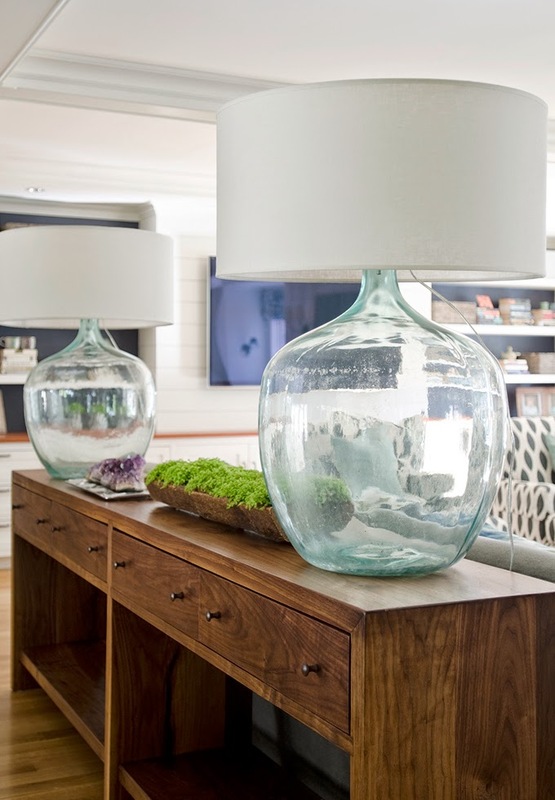 Typically made from glass jugs or bottles, rustic glass lamps are popular in coastal and farmhouse homes. We often see them in European interiors, since old glass jugs are common and easy to find in antiques shops, flea markets, or a backyard barn. While you may associate them with country style, rustic glass lamps add a collected, eclectic touch to modern interiors. With clean lines and plain silhouettes, modern glass lamps fit in to any interior design. Use a pair behind a sofa for an open, airy look. In a home office, a glass lamp keeps your desktop uncluttered. The barely-there look of glass adds a light touch to minimalist interiors. 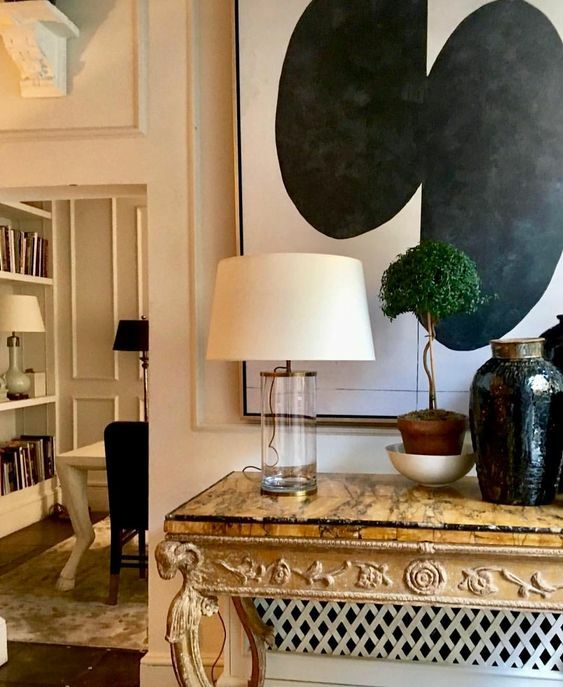 Place a glass lamp wherever you need accent lighting – in a foyer, in front of a painting, or beside a mid-century modern sofa. It’s no wonder interior designers never tire of clear glass lamps – they seem to fit in absolutely everywhere. They add shape and texture when needed, but they can be functional and minimalist too.